Berlin-based producer and founder of Giallo Records, Antoni Maiovvi is releasing his latest album, Avrokosm, today on Not Not Fun Records. This is Maiovvi’s 8th studio album, coming shortly after his recent collaboration with Umberto on a reimagination of The Texas Chainsaw Massacre score that was released by Death Waltz and just before another EP of his, Speculative Fiction which is coming out soon via AstroLab Recordings. 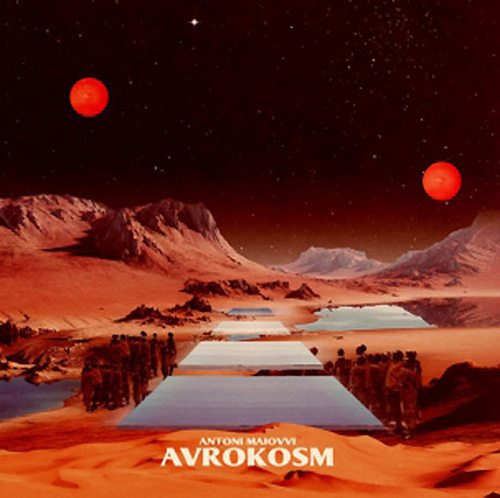 Avrokosm marks Maiovvi’s departure from the dancefloor and unveils a more atmospheric side of his music, inspired by cinematic sci-fi and outer space, like some of the composer’s many influences, from John Carpenter to Tangerine Dream.